When winter finally gives way to spring, its time to get prepared to host parties, fire up the grill, and entertain friends and family. 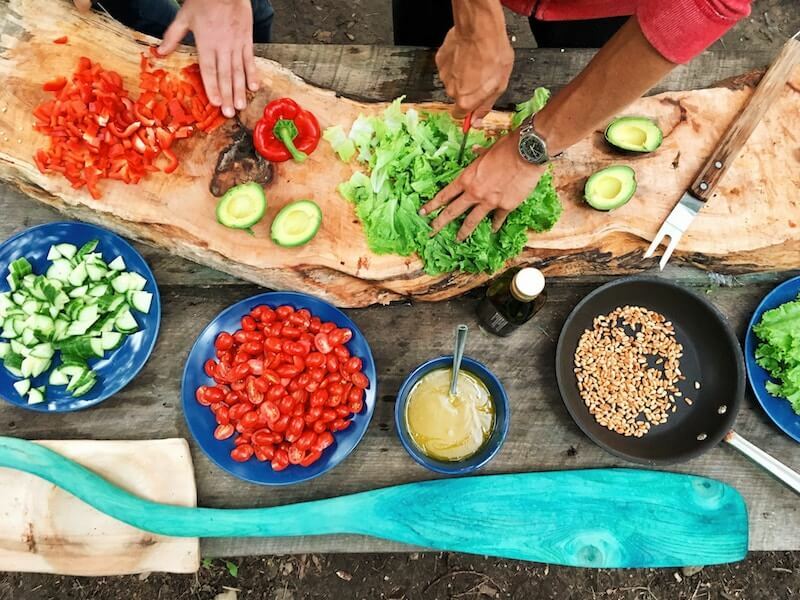 We love this time of year, because outdoor entertaining has come a long way from the days of a Weber grill (Which we still love). Whether your lot is large or small, here are 5 tips for creating the perfect backyard this year. Evaluate your home’s lot and determine where your party space should be. If you don't have a lot of space, pavers can be used to create a great entertaining zone. Even a narrow strip on the side of your house can be walled in for privacy and become a mini retreat. If you have a large sloped backyard, you can carve out a series of patios that are made of pavers and connected by paver steps. You can have one patio for grilling, another for lounging and even one for dancing under the stars. 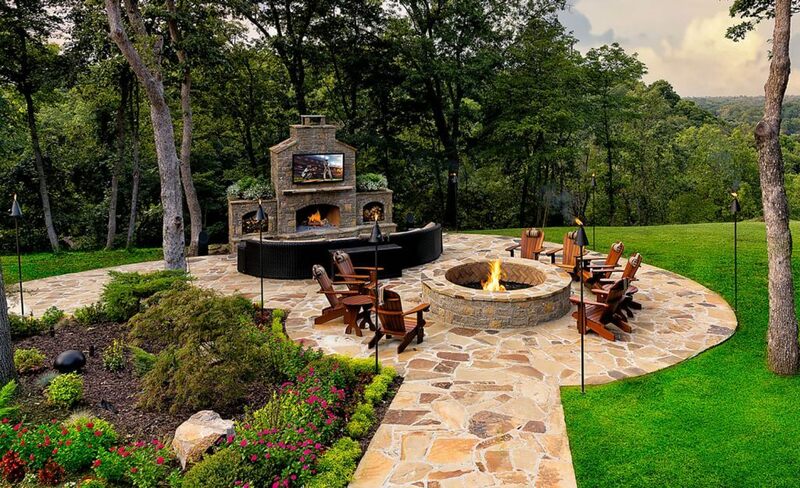 If you have a large, flat back yard you may want to consider creating separate entertaining spaces that are connected by paver walkways. No entertainment area is complete without easy access to food and your favorite beverages. If you decided on modern amenities in your kitchen it's a good idea to build it close to your house to make it easier for wiring electricity and plumbing to that location. If you want to watch the game outdoors, we carry outdoor televisions from Sunbrite that are built to take anything mother nature throws at them and built to perfect viewing in bright sunlight or shaded areas. 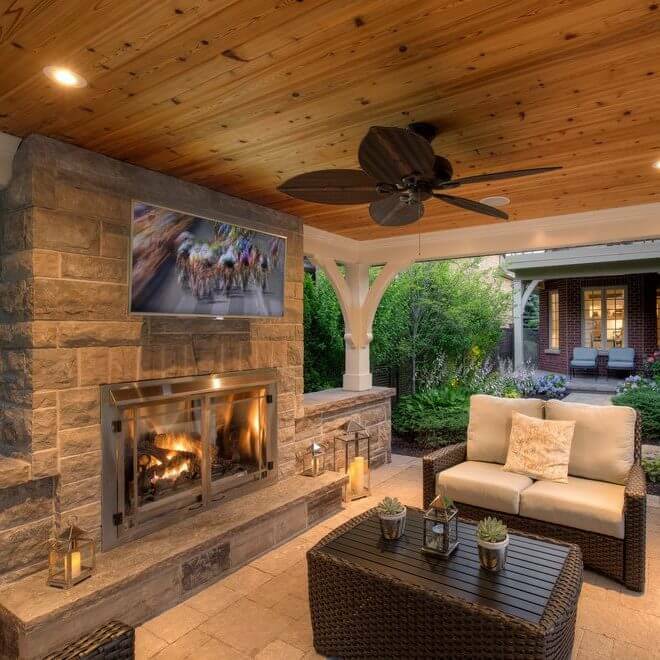 Your outdoor living areas should be as comfortable as indoors. Install patio pavers as the surface for your space and have them arranged in an interesting pattern. You can even add half walls around the space to create a sense of purpose or privacy. A paver fire pit is an excellent addition to your outdoor living space. It will add warmth in the spring and fall while casting a romantic glow on the festivities. Have it built with a large ledge for seating or to place your wine glass or snack plate. Don't forget the music, this is a must have in our opinion. Nothing goes better with outdoor entertaining than good music. A professionally installed sound system can make a big difference in your outdoor living experience. 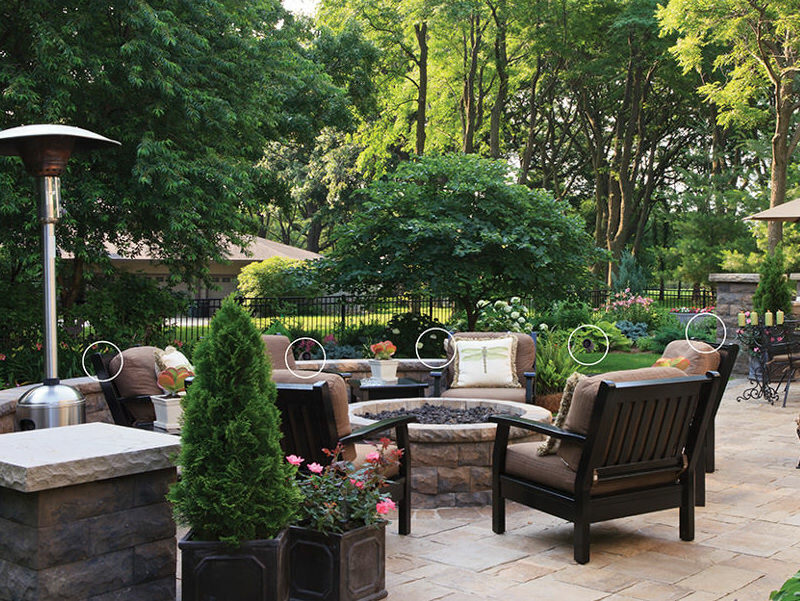 Whether you have a small city lot, or acres of ground, there are outdoor speakers designed just for you. What's more, they've never been more cost effective or easier to use. It is extremely important that your outdoor living area is well lit. Guests need to be able to see where they are going and whom they are speaking with regardless of the time of day. 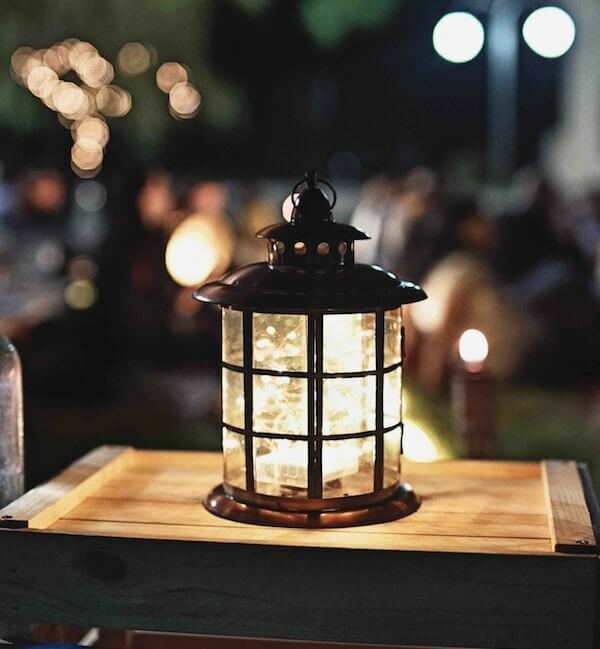 With the proper lighting, your party doesn't have to end when the sun goes down. Professionally installed outdoor lighting enhances your entire space. If you're dreaming about creating the perfect backyard space this spring, we're ready to bring the entertainment. From outdoor televisions, to speakers and lighting FusionPoint can help make your backyard the envy of the neighborhood.